The Trefonen Collieries were dug later in the period of the coal mines. 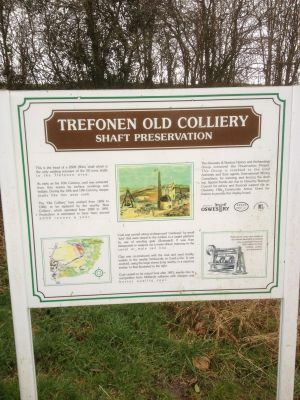 The Old Trefonen Collieries were dug 1869 and lasted until 1880 but were abandoned due to flooding. 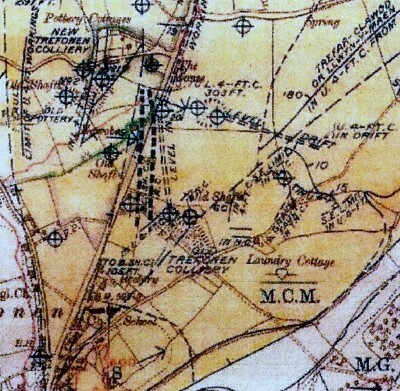 1875 map showing the Old Trefonen Colliery(map reference 1693.) This shows that the mine was in operation(1869 to 1880) and indicates the engine house and two pit shafts. The mine closed in 1880 due to being unable to cope with the flooding. 1918 geological survey map showing some of the mine shafts in the Trefonen area. 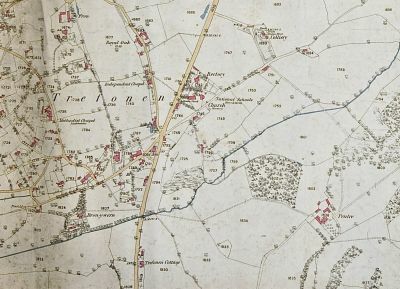 This map shows a lot more of the shafts that the 1875 map and even shows one bottom left near to where the Barley Mow pub now stands. A number of plans have now been acquired showing the extensive underground workings of these pits at the various levels. Photo of restored top of the Old Trefonen pit shaft. 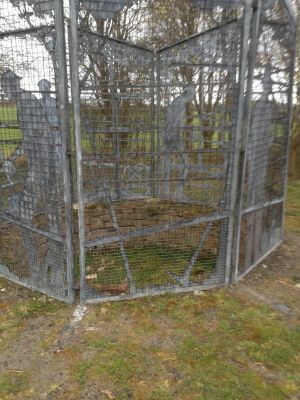 An ornamental cage has been placed around the pit shaft to prevent people climbing into the shaft. 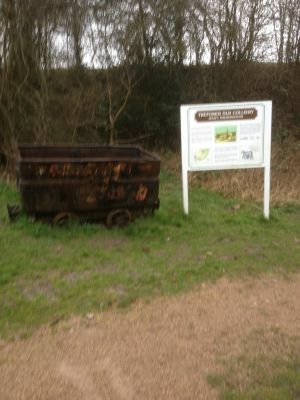 Old coal tub and display board near to the top of one of the two mine shafts on the site of the Old Trefonen Colliery. Close up of the display board showing the history of this site.